SUMMARY: Agility photo with me in it. 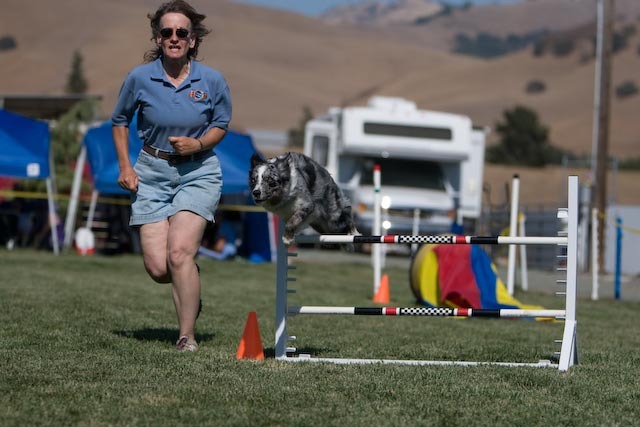 Photographers tell me that most people don't like having agility photos with them in it. Sure, I like having photos of my dogs doing agility, but I do it, too, dangit; it's a team sport and with either of us missing, it just wouldn't work! So I also like photos that show me running with my dogs. However, usually I have to ask for them. This, of me and Boost, is from a friend who also does agility and photography and obliged me back in August at the ASCA trial.